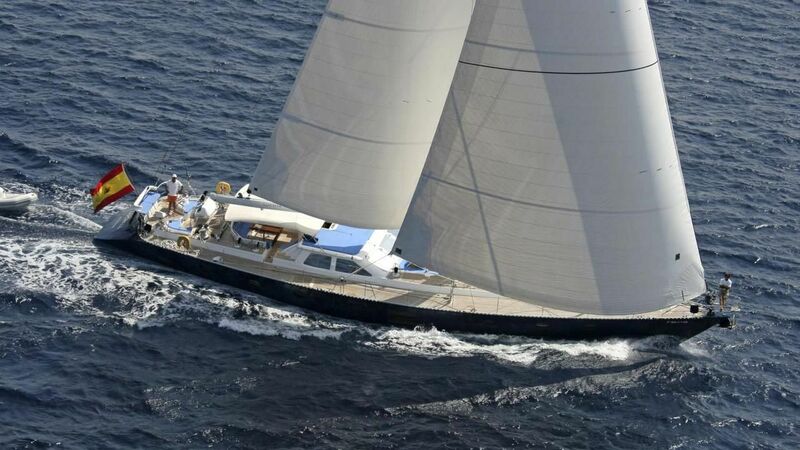 SONGBIRD (ex Luchya, Elisabeth) is a 27.23m (89' 4") sailing yacht built by Dubbel & Jesse Yachtbau in Germany and launched in 1993. 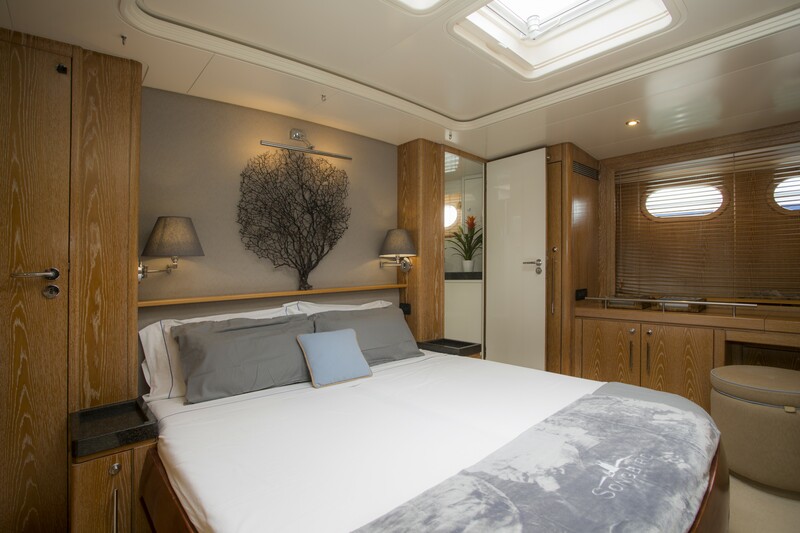 She was refitted in 2017 with interiors by Rainer Kinder and offers lovely modern interiors with accommodation for up to eight guests sleeping in three deluxe cabins. 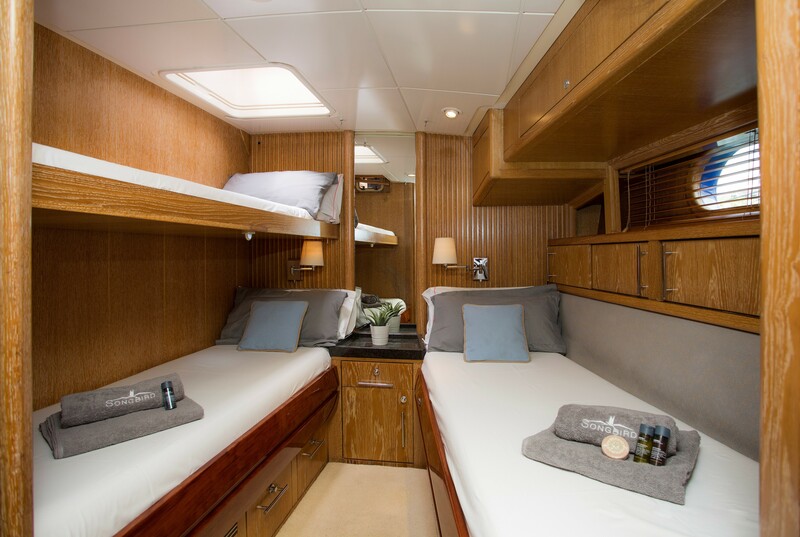 She has an attentive crew of three ensuring everyone has a relaxing charter experience on board. 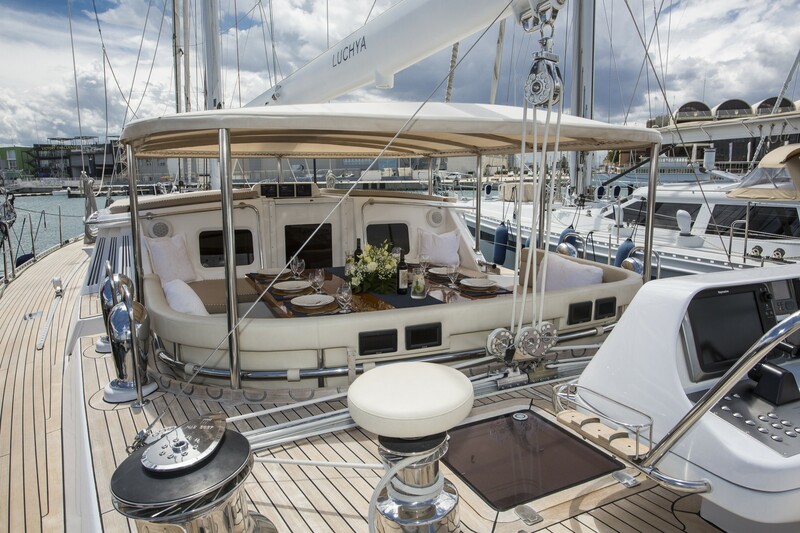 The main deck cockpit is placed aft of amidships and is comprised of a forward-facing U-shaped sofa with a fold-out table for alfresco dining. 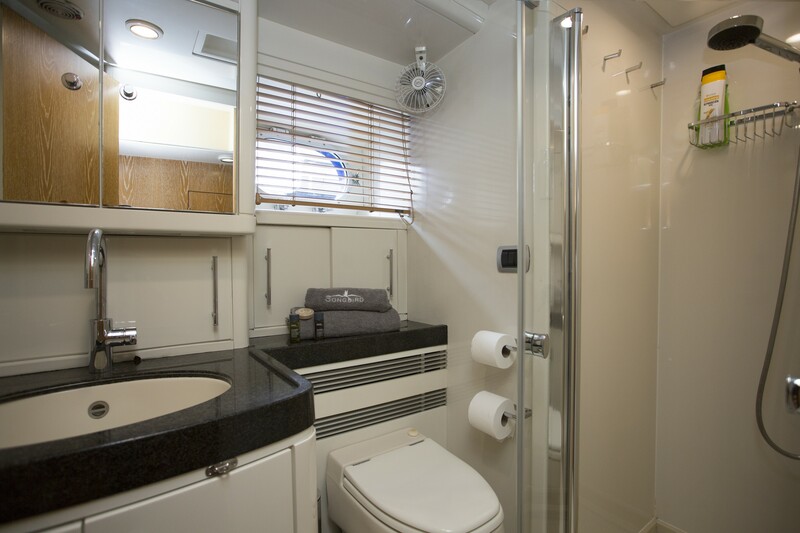 A bimini shade can be erected for sheltered outdoor living day or night. 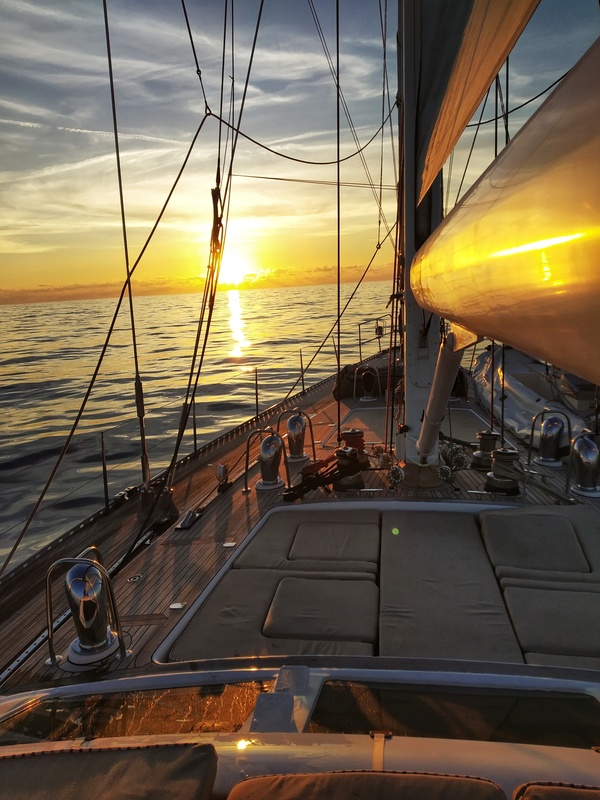 The helm station is located farther aft and the foredeck has plenty of room for observation with a spread of sunbeds and room for hosting additional guests during dock-side events. 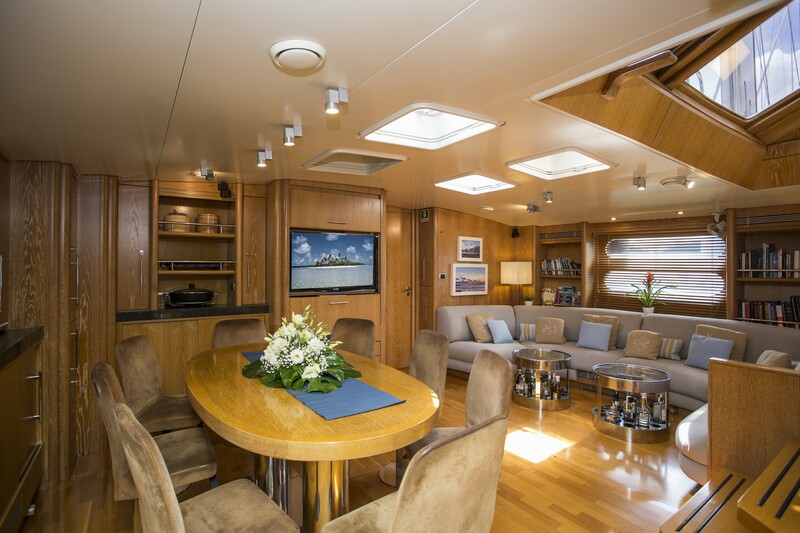 Above, the flybridge has additional sunpads for the whole group to gather together. 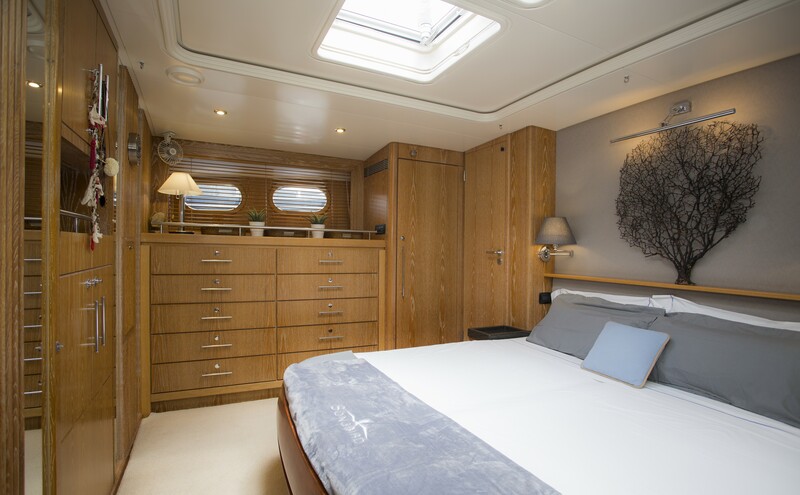 The updated interiors use pale wooden panelling for a timeless appearance while providing a light and spacious quality enhanced by the cream furnishings and numerous skylights. 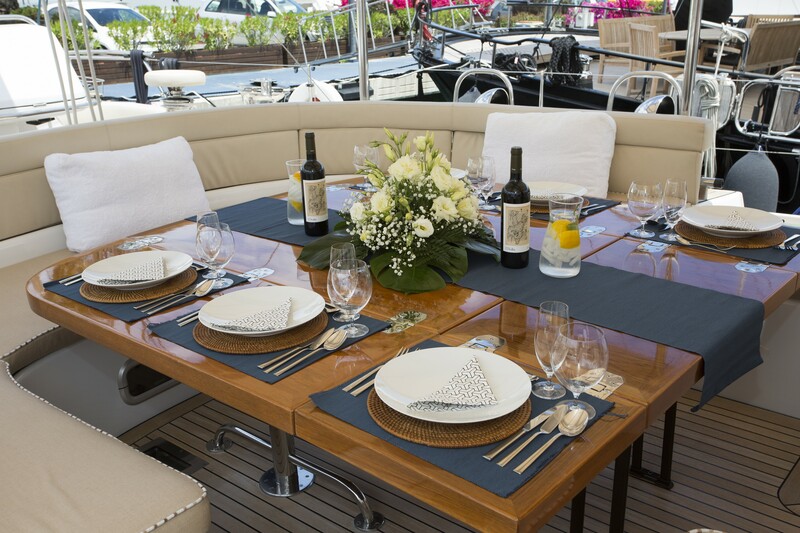 The lower deck hosts the guest and crew accommodation with the main deck dedicated to formal dining and lounging. 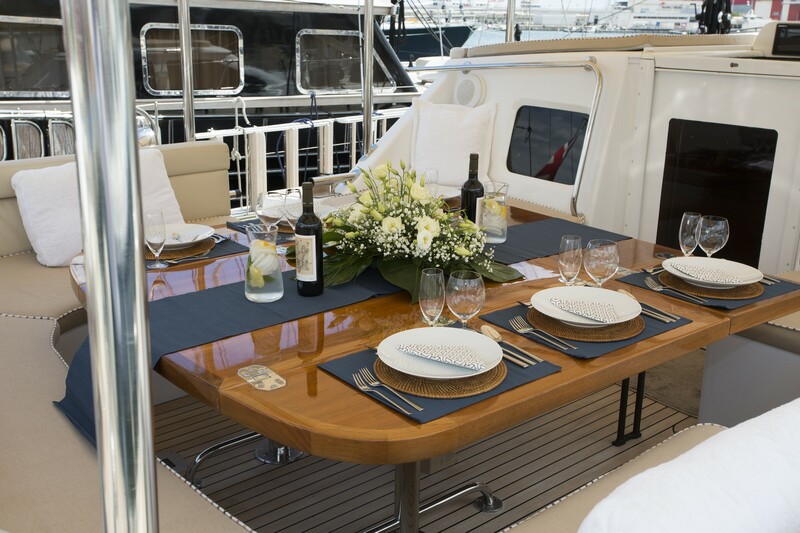 The port side is fitted with a large oval dining table and plush seats for up to eight guests to enjoy a meal together. 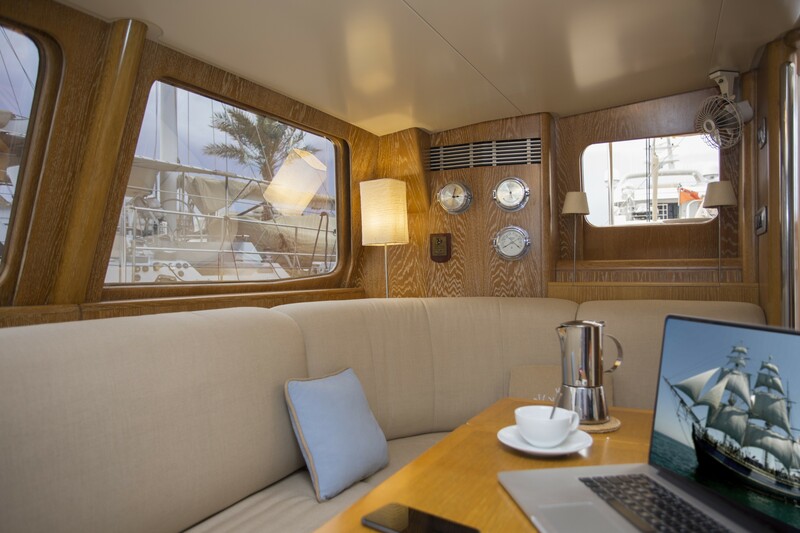 To starboard, a C-shaped sofa is integrated into the section around the wall and two circular drinks tables are conveniently placed, storing a selection of spirits within. 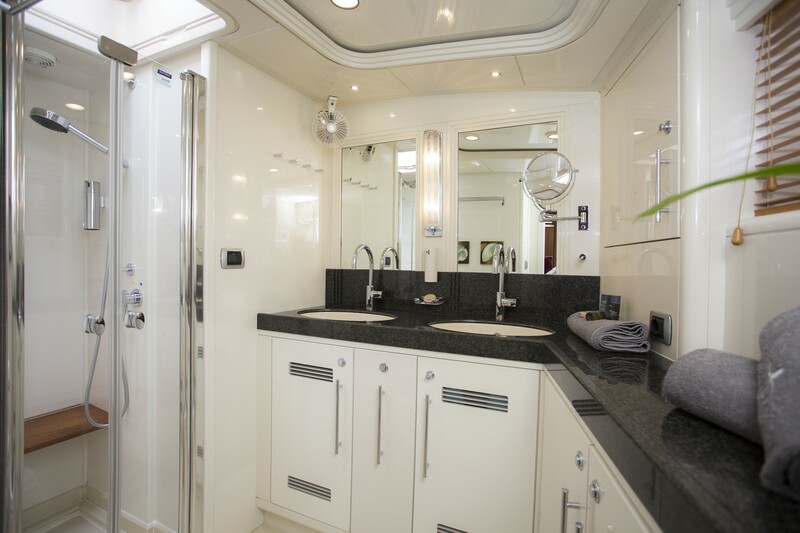 A staircase to the aft leads above deck to the cockpit. 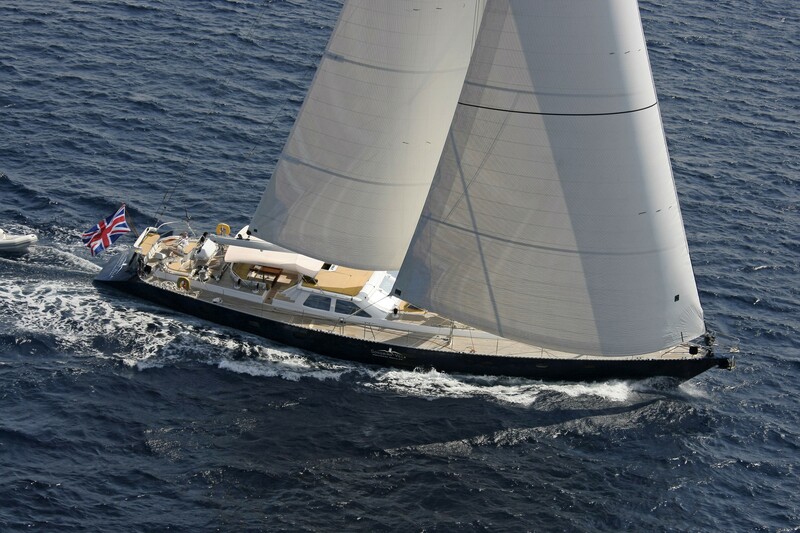 The Mercedes OM 423 engine producing 345 HP allows for a top speed of 12 knots with a cruising speed of 10 knots and a range of 3,000 nautical miles. 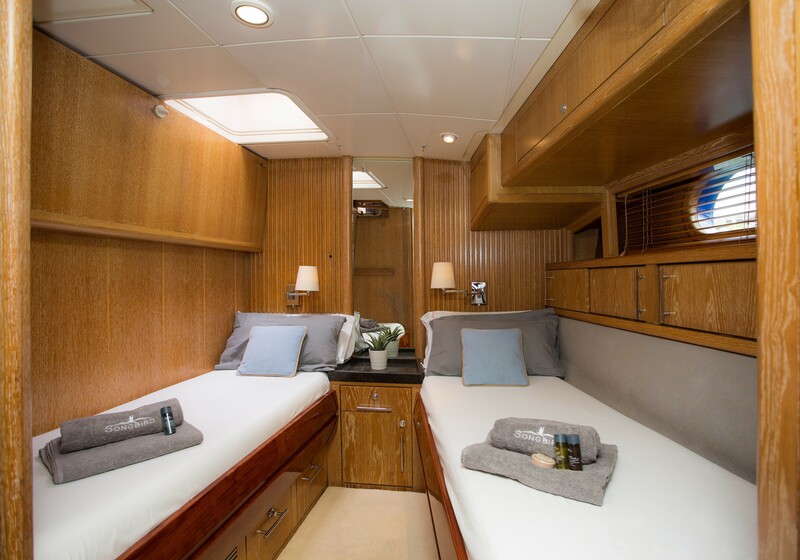 Up to eight charter guests area accommodated across three deluxe cabins. 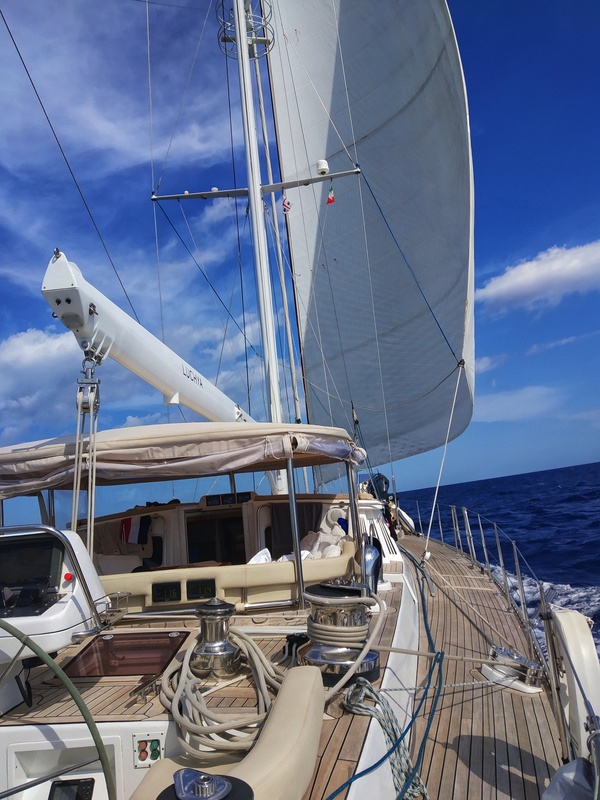 S/Y SONGBIRD will happily embark guests anywhere along the Adriatic Coast of Croatia with no delivery fee and no re-delivery fee for disembarkation in Porto Montenegro! 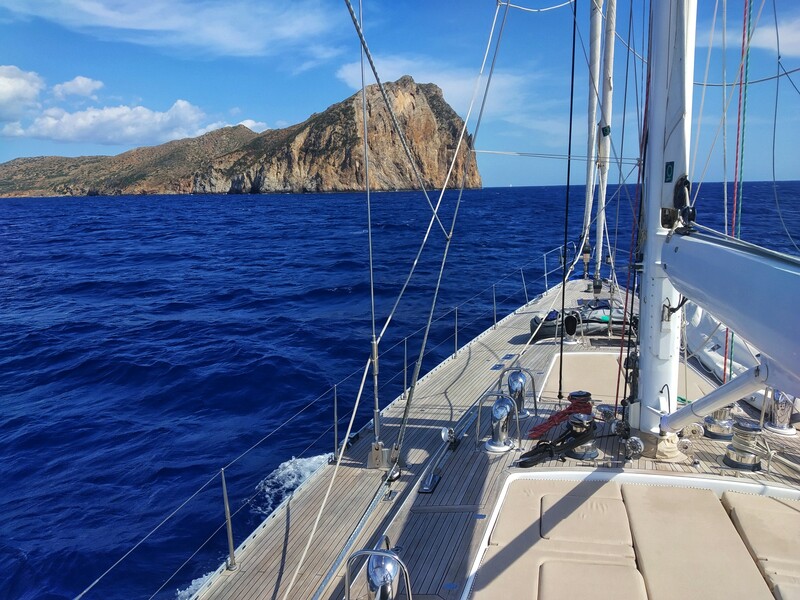 In addition, all weekly charter guests, whenever possible, may choose to board the yacht in Croatia or Montenegro the night before the charter begins, to avoid the costs of a hotel and transfers. Up to eight guests, €500 for the night!